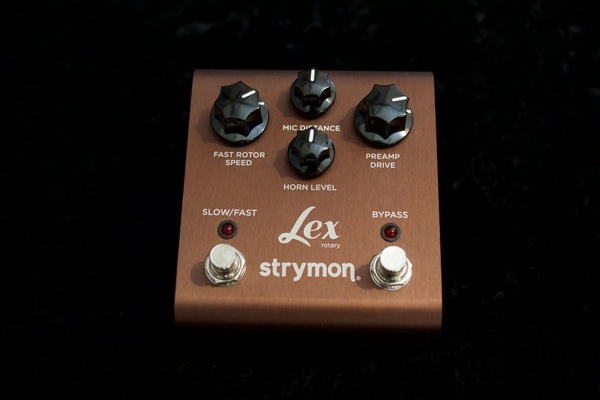 The Strymon Lex Rotary effect faithfully simulates the sound produced by a Leslie spinning speaker. 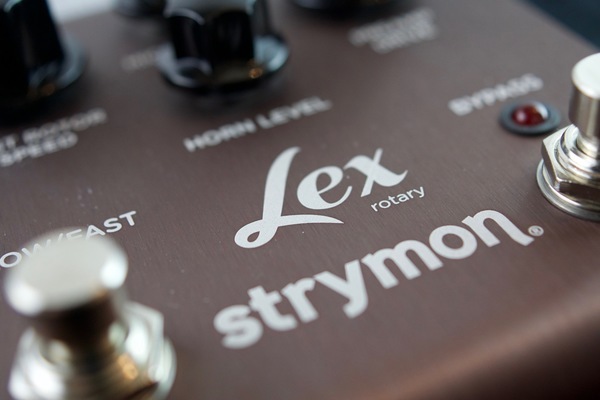 The Lex Rotary effect is a pedal effect that creates an authentic Leslie speaker simulation. 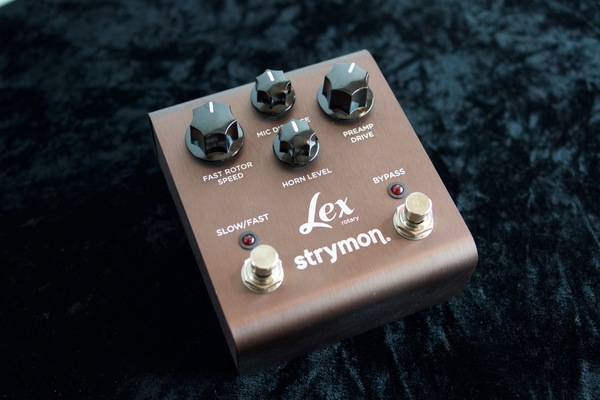 The team a Strymon dived into every aspect of a Leslie speaker and created a pedal which reproduces for all of them. The sound is incredible. Very easy to use and create dynamic tones. There are four control knobs. The Fast rotor speed controls the rotation of the Speaker and Horn giving you the ability to time the sound to your tempo. The Mic Distance reproduces the positioning if the of a mic to the speaker giving you a variation of presence and tone. Horn Level controls the level of the horn of the Leslie which adds or removes brightness to the sound. The Preamp drive simulates the preamp section of the Leslie and adds gain to the signal. Bypass turns the effects on and off. 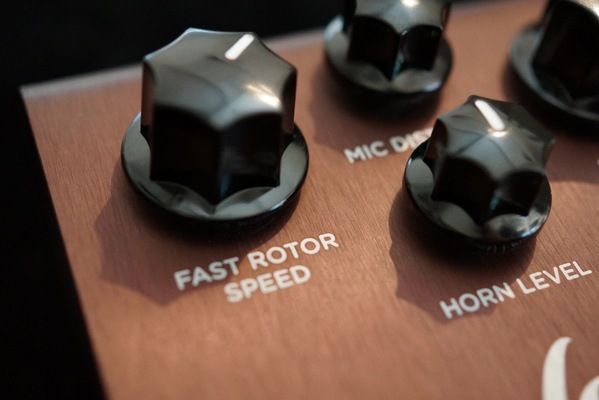 The Slow/Fast control switches the speaker rotation between Fast and Slow speeds. This feature simulates the physical mechanics of this action, so you get a ramp up and slow down between the two speeds. There are 4 “hidden” secondary controls accessed by holding down both the Bypass and the Slow/Fast controls simultaneously. Fast Rotor speed, Cab Direction, Acceleration Time, and plus or minus 6db Boost/Cut. Authentic Leslie similar, true to the feel and tone. Warm and even across the full spectrum of the effect settings. 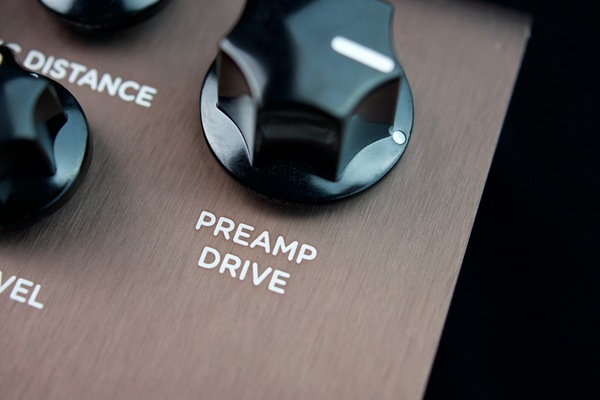 The Preamp drive gain is dynamic and responsive. High end parts and materials, made to last. Metal casing. Very color anodized brown aluminium. Currently in production and available at strymon online store and authorized dealers.